Mark Rogers was visiting family here in Illinois after returning home from his second tour of duty in Iraq. On his way back to his home in San Antonio he was involved in a fiery 9 car pileup caused by heavy rains and almost no visablilty. As his car caught fire Mark was the only one in the vehicle who was able to get out through the flames. He somehow managed to burst the front windshield and then he pulled his family out one by one. In order to finally get everyone to safety it required going back into the fire numerous times. Mark's arms and legs were severely burned. Along with his wife, daughter and son, he then had to wait alongside the road in the driving rain as vehicle after vehicle passed the scene without stopping to help. Finally, mercifully, the ambulances arrived. Mark is in critical, but stable condition at this point, and is likely facing multiple surgeries and a long road to recovery. His wife and daughter are also in the hospital at this time for burns they sustained. Incredible as it may sound the vehicle they were in was burnt completely down to the ground leaving behind only ashes. Fortunately, Mark's very young son seems to have escaped serious injury and is staying with relatives. The family has set up a MySpace page with information, and they are asking for donations to help Mark and his family with medical expenses, living expenses, and other needs. There is a PayPal button on the page for donations. Your prayers for Mark and his family would be much appreciated. Also, please consider making a donation through the MySpace page - and please do what you can to spread the word. Here's the local news report on the crash involving the Rogers family. This week on The Frank Truth Sinatra Podcast we have two episodes of Frank Sinatra's NBC radio show, To Be Perfectly Frank. This is a music show with Sinatra singing as well as spinning records of the day. 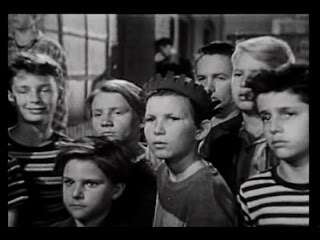 These two episodes were originally broadcast in April of 1954. Click here to download the show, or subscribe for free through iTunes. Thanks to Doug for donating to the show. Thanks to Phyllis for the Sinatra books. This podcast was licensed by BMI and ASCAP. We encourage you to purchase and enjoy legally distributed music. The old time radio episodes included in this program are works in the Public Domain. The Frank Truth supports charitable organizations, contributing 25% of all earnings from our eMusic campaign. Please consider making your own contribution today. Julie Bloom reports in the Theater Section of the New York Times that Robin and the 7 Hoods will open on Broadway during the 2009-10 season. Along with My Kind of Town and other tunes from the 1964 Sinatra movie, the stage version will include some additional Cahn-Van Heusen songs, among them Come Fly With Me and Call Me Irresponsible. Thanks to Dave Lifton for the headsup! Though I've been a Sinatra fan for a long time now, it only recently occurred to me that I'm also a collector. My Sinatra collection grew imperceptibly until all of a sudden, there it was. I began with one CD. Oddly enough it was The Capitol Collectors Series. My Sinatra library now includes dozens of CDs, DVDs, VHS tapes, books, and vinyl records in all three formats (78, 45 and 33 RPM). I never intended to obtain "collectables" but several have come my way. 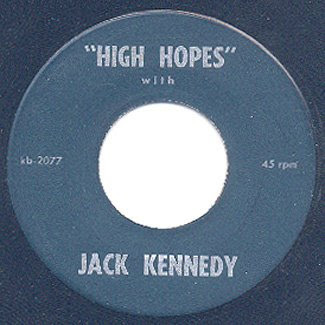 Among my favorites are the High Hopes record from JFK's 1960 Presidential Campaign that Donald gave me, and a Christie's Auction catalog that was among several books I recently received from Phyllis (our Bobbysoxer from Episode 96). So, what's in your Sinatra? 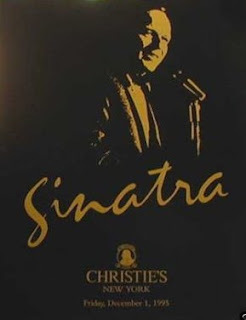 Comment here, email or call in with your favorite Sinatra items and I'll share them on the show. 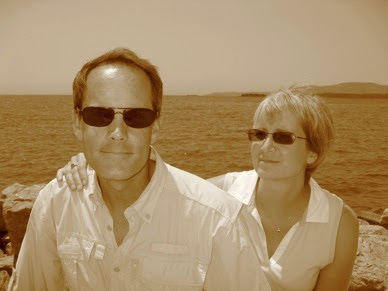 Longtime FT listener and friend Doug Barber is celebrating his birthday today. He and Nancy also celebrated their anniversary earlier this week. Here's wishing you a beautiful day and all good things in the year to come. May you live to be 100! We've mentioned many times on The Frank Truth Sinatra Podcast and here on the Weblog the surfeit of talent that was possessed by Old Blue Eyes. In addition to being the greatest singer of his day, among other things he was also an exceptional one-take actor. It is almost beyond belief then, to learn that Frank Sinatra was also an accomplished graphic artist. 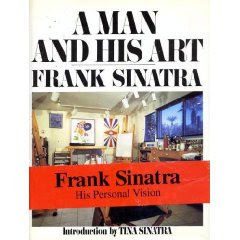 I don't remember where I first heard about this beautiful book (sadly, now out of print) Frank Sinatra: A Man And His Art. I obtained a copy several years ago, and am perpetually amazed each time I pick it up and view the beautiful Sinatra art inside its covers. There are usually several copies available at Amazon and other online resellers, often in perfect condition and at reasonable prices. This is one of those books, along with Frank Sinatra: An American Legend and Sessions With Sinatra that belongs in the collection of every serious Sinatra fan. Welcome to our 100th Episode! 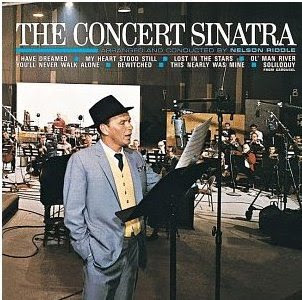 This week on The Frank Truth Sinatra Podcast we take a listen to Frank Sinatra's grand and majestic 1963 masterpiece The Concert Sinatra. Recorded with a full symphony orchestra, and Sinatra at the absolute zenith of his vocal and artistic powers, this album was Nelson Riddle's personal favorite among all of his collaborations with Sinatra, and it ought to be part of every album collection. This episode is sponsored by eMusic. Get 35 songs for free with our two week trial offer. Click here to learn more. The Frank Truth supports these charitable organizations, contributing 25% of all earnings from our eMusic campaign. Please consider making your own contribution today. Here's a quick update to the shownotes for this episode. I realized after releasing the show that I mistakenly referred to posts on the "forums at FrankSinatra.com" when of course I should have said "SinatraFamily.com" instead. Both are official sites (and both have forums) but the Sinatra Family site is host to a full-fledged community in the best sense of that word, and the newer site is still developing. Apologies to anyone who might have been misdirected by my senior moment. Frank Sinatra wrote an Op-Ed piece for the L. A. Times on July 4th, 1991. It is a passionate and moving call for unity and equality (at one point invoking Rosa Parks). This is the Sinatra that I most admire and love. I hope that you will take time to read his words, and that you will bear them in mind as we celebrate this Friday. 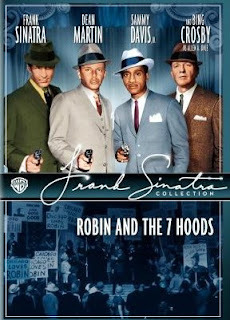 I'll certainly be doing so - and viewing, once again, Sinatra's beautiful testament to tolerance The House I Live In. Have a beautiful Independence Day! We are created equal! No one of us is better than any of us! That's the headline proclaimed in 1776 and inscribed across centuries in the truth of the ages. Those inspired words from the Declaration of Independence mock bigotry and anti-Semitism. Then why do I still hear race and color-haters spewing their poisons? Why do I still flinch at innuendoes of venom and inequality? Why do innocent children still grow up to be despised? Why do haters' jokes still get big laughs when passed in whispers from scum to scum? You know the ones I mean—the "Some of my best friends are Jewish..." crowd. As for the others, those cross-burning bigots to whom mental slavery is alive and well, I don't envy their trials in the next world, where their thoughts and words and actions will be judged by a jury of One. Why do so many among us continue in words and deeds to ignore, insult and challenge the unforgettable words of Thomas Jefferson, who drafted the Declaration of Independence's promise to every man, woman and child—the self-evident truth that all men are created equal? That's what the Fourth of July is all about. Not firecrackers. Not getting smashed on the patio sipping toasts to our forefathers. Not picnics and parades or freeways empty because America has the day off. Equality is what our Independence Day is about. Not the flag-wavers who wave it one day a year, but all who carry its message with them wherever they go, who believe in it, who live it enough to die for it—as so many have. OK, I'm a saloon singer, by self-definition. Even my mirror would never accuse me of inventing wisdom. But I do claim enough street smarts to know that hatred is a disease—a disease of the body of freedom, eating its way from the inside out, infecting all who come in contact with it, killing dreams and hopes millions of innocents with words, as surely as if they were bullets. Who in the name of God are these people anyway, the ones who elevate themselves above others? America is an immigrant country. Maybe not you or me, but those whose love made our lives possible, or their parents or grandparents. America was founded by these people, who were fed up with other countries. Those weren't tourists on the Mayflower—they were your families and mine, following dreams that turned out to be possible dreams. Leaving all they owned, they sailed to America to start over and to forge a new nation of freedom and liberty—a new nation where they would no longer be second-class citizens but first-class Americans. Even now, with all our problems, America is still a dream of oppressed people the world over. Take a minute. Consider what we are doing to each other as we rob friends and strangers of dignity as well as equality. 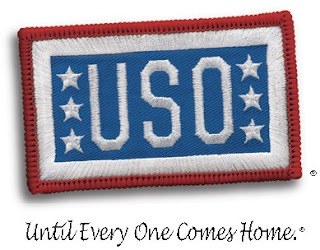 Give a few minutes of fairness to the house we live in, and to all who share it with us from sea to shining sea. For if we don't come to grips with this killer disease of hatred, of bigotry and racism and anti-Semitism, pretty soon we will destroy from within this blessed country. And what better time than today to examine the conscience of America? As we celebrate our own beginnings, let us offer our thanksgiving to the God who arranged for each of us to live here among His purple mountain majesties, His amber waves of grain. Don't just lip-sync the words to the song. Think them, live them. "My country 'tis of thee, sweet land of liberty." And when the music fades, think of the guts of Rosa Parks, who by a single act in a single moment changed America as much as anyone who ever lived. I'm no angel. I've had my moments. I've done a few things in my life of which I'm not too proud, but I have never unloved a human being because of race, creed, or color. And if you think this is a case of he who doth protest too much, you're wrong. I would not live any other way; the Man Upstairs has been much too good to me. Happy Fourth of July. May today be a day of love for all Americans. May this year's celebration be the day that changes the world forever. May Independence Day, 1991, truly be a glorious holiday as every American lives the self-evident truth that all people are created equal. God shed His grace on thee—on each of thee—in His self-evident love for all of us.